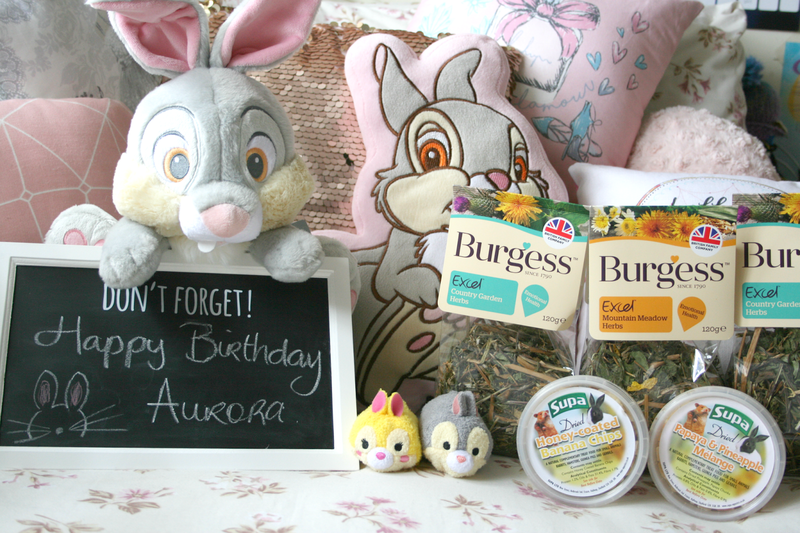 It's July 9th which means it's Auroras 1st Birthday! Just like any other occasion there were gifts, lots of food and plenty of photos taken. So as always I'm here to share them all with you lot. Theres also a whole lot of videos and photos over on my Snapchat right now, so make sure to add me over on 'darlingjordan' so you don't miss a thing! The difference between taking photos of Aurora and Sheldon is it's very easy to make Sheldon stay in one place and you can put him where you want. Aurora on the other hand you kind of just take what you can get. So 1000 photos later here are the few good enough for my blog! It really is hard to believe that this little munchkin is one already, I feel like we only got her a few weeks ago when she was a baby (I've had her since September, so obviously thats a long time!). 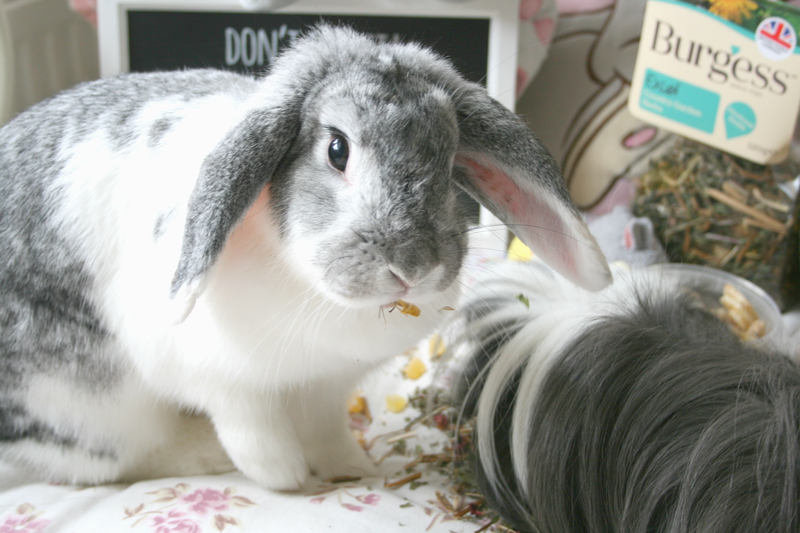 While her attitude stays the cheeky little bunny that she is, she still is the most loveable little fluffy creature and I just adore her. Of course Sheldon had to join the party because you need some friends to celebrate with! 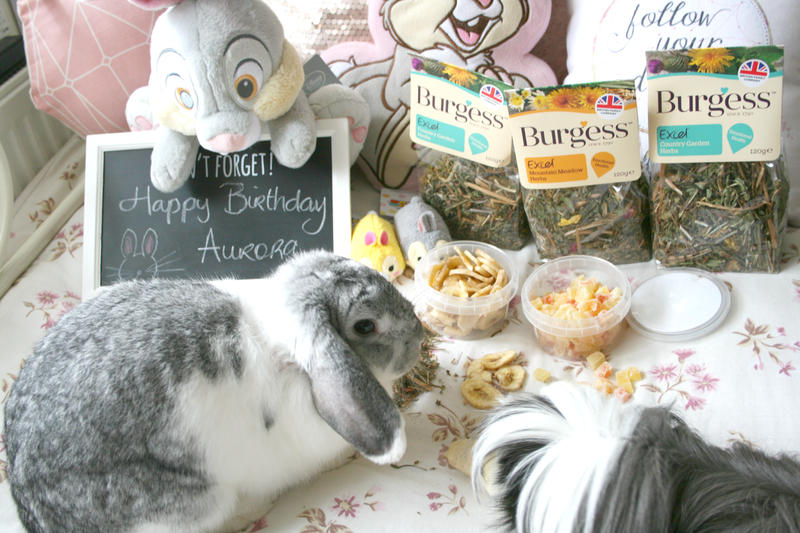 Although I think Aurora was less than pleased that she had to start sharing her birthday treats, but fair is fair considering when it was Sheldon's she jumped in to start sharing his treats. 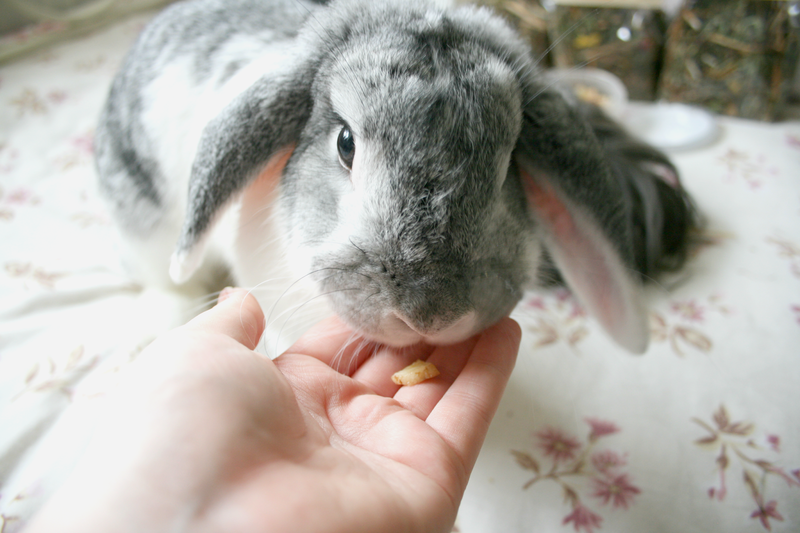 As always when an occasion comes about I order all their treats from Pet Bliss online as I always find they have the greatest selection of treats when it comes to small animals. I picked up two bags of the Burgess Excel Country Garden Herbs and two bags of it in the Mountain Meadow Herbs. Both animals absolutely adore this stuff and will continue to eat it until the bag is gone! Full of flowers, twigs, mint, dandelions and grass it really is a treat for them. I picked up four bags so that they might get atleast a week out of them plus because both animals love it I know it won't be wasted. 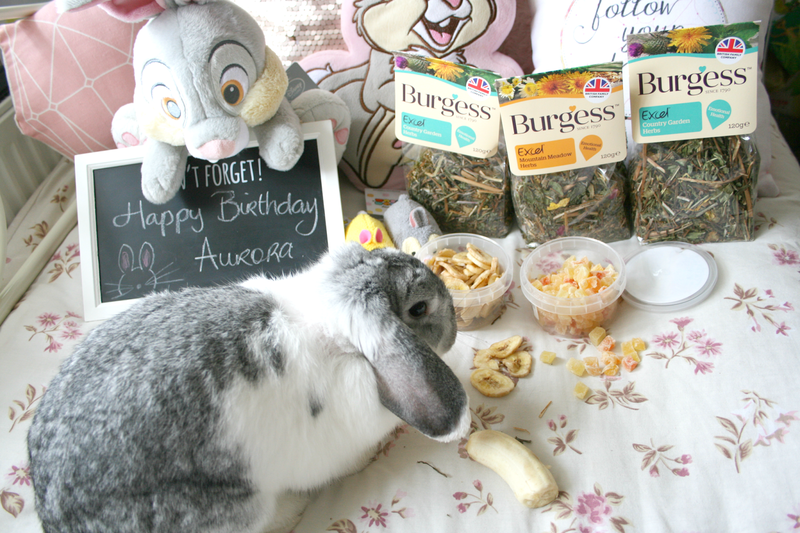 I then picked up the Supa Dried Honey Coated Banana Chips which Aurora had already tried before and loved. She even prefers these over fresh banana which is crazy because she adores fresh bananas. When placing my order I realised they also done a Papaya and Pineapple version of it so knew she would definitely love that too and I was so right. She absolutely adores both of them and will insist you keep giving her more even when she's so full she can no longer stand! 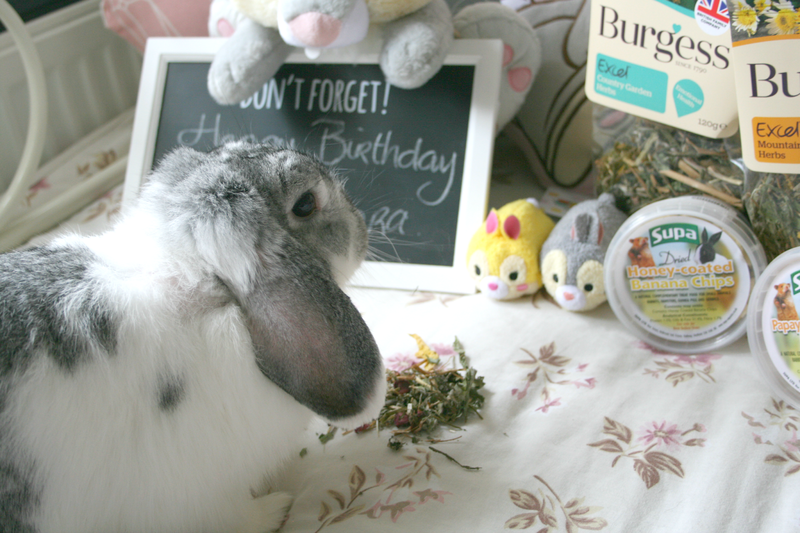 Of course so far the day has basically been spent eating and relaxing, she also had her birthday breakfast that consisted of carrots and cucumber. At this stage I'm not quite sure how she hasn't exploded. Happy 1st Birthday Princess 'Rora! Oh my gosh, how perfectly adorable! 🐰 I love seeing lots of animal photos! !